This picture was taken by an independent contributor. 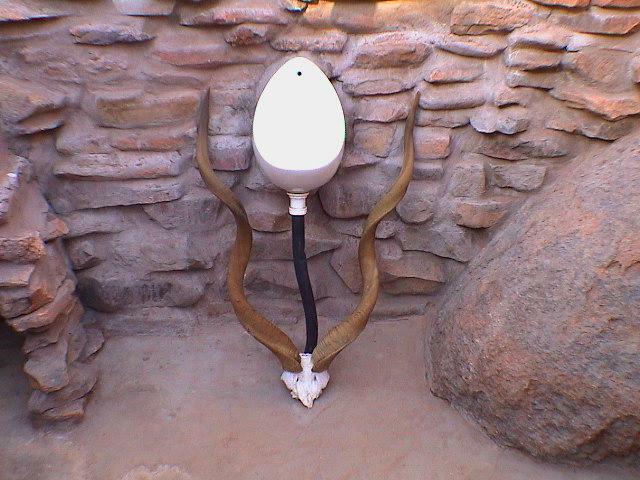 He writes: "This was taken in Northern Namibia at a site of importance to the Bushman people in Africa. Driven from there land this site displays 4000 year old rock carvings of the kinds of animals hunted in the area. The toilet you see is has been installed for the overland adventurers that seek out his site. The horns are that of a 'Kudu' a large antelope around the size of a horse."